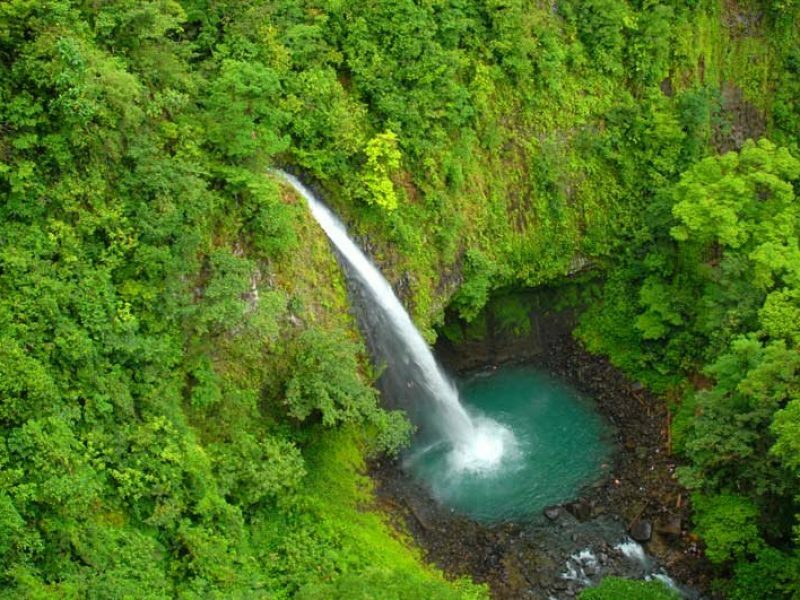 This beautiful waterfall about 15 minutes from La Fortuna in the shadow of the majestic Arenal Volcano drops 75 meters (or 245 feet) into a natural pool. $15 (free for small kids up to 5 years old). It's short and steep along a staircase carved into the hillside. There's a lifeguard on duty, restrooms & showers, restaurant and gift shop. Most folks take 10 minutes to walk down and 20 minutes to walk up. It's open daily from 7:30am to 4pm. Parklands tailor to your specific needs, your ideas, and your dreams! The friendly team will handle every aspect of your stay, so you can just focus on why you are coming to beautiful Costa Rica! Why not take the first step? Contact Parklands Now!